Its been quiet on this blog, but I do have a few small finishes to show! First up this Christmas table runner. I offered to test Aylin's new quilt pattern 'Diamonds in Diamonds'. I was looking for a new hand piecing/quilting project, and I wanted to use up a lot of Christmas fabrics that I had, and these two ideas came together perfectly with this pattern. It is a simple pattern, but very effective, and looks very different depending on what fabrics and layout you choose. You can check out what the other pattern testers made here. 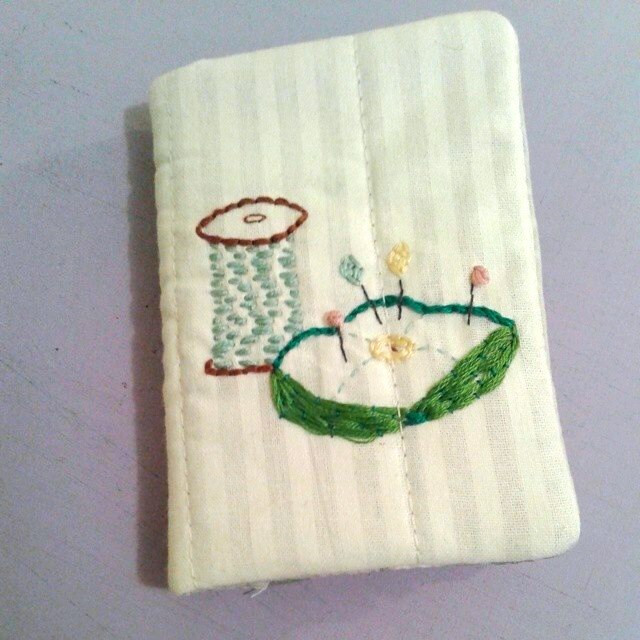 Secondly, a little embroidered needle book as a prize for a giveaway that I held on Instagram. The embroidery and design come from Aneela Hoey's book 'Little Stitches'. This is the third needle book I have made like this and I really enjoy putting them together. Next up another baby ball. I have too many friends having baby boys at the moment! Bring on some girls because I have lots of pretty pink scraps! This my new favourite go-to baby present! 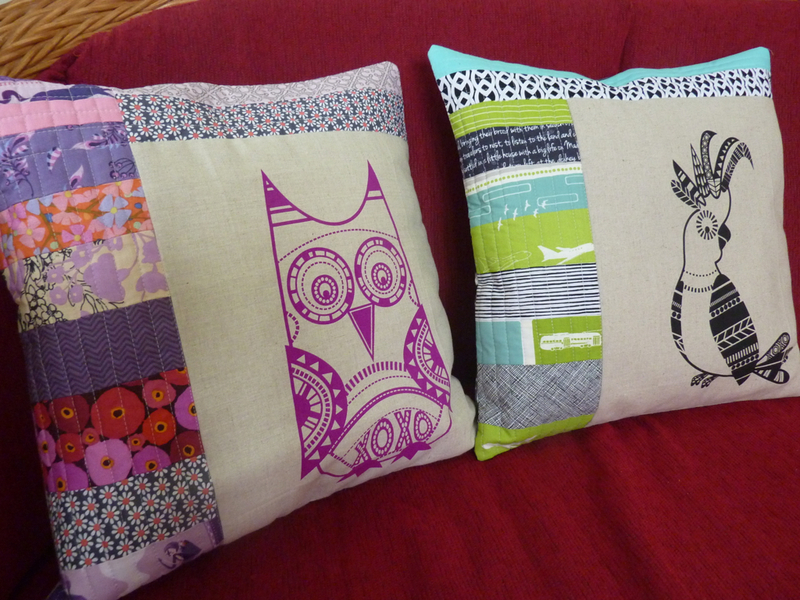 And finally some cushions that my friends ordered using fabric panels from Cat and Vee. I love putting these together, and am secretly hoping that some more friends place orders for these! Linking up with Craft Book Month (for the needle book), Ho Ho Ho and on we sew (for the Christmas table runner) and Sew Cute Tuesday. 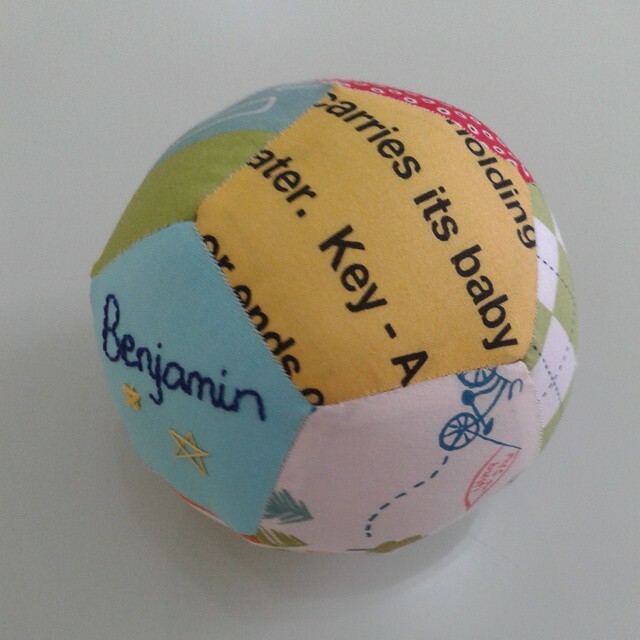 A baby ball was one of my first patchwork projects, back in the day. They are timeless! That needle book is darling. Love your cushions - they are gorgeous! great finishesand such fun little projects! 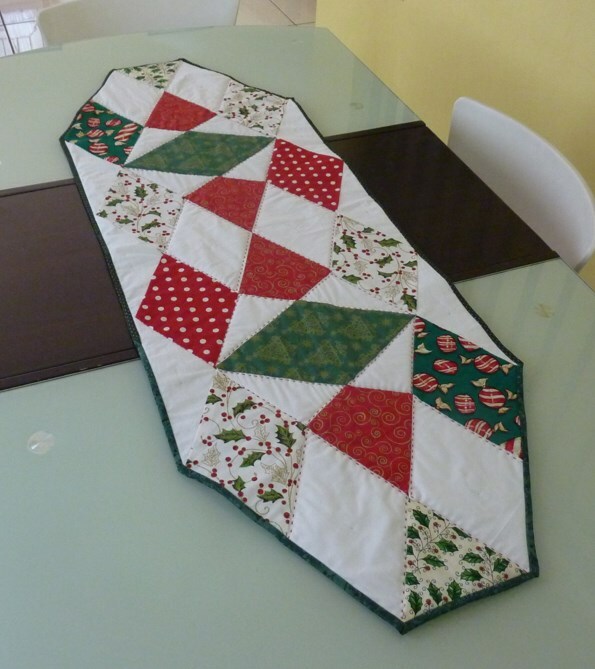 i especially love your Christmas table runner; you did great tackling all of those angles!! What a great mix of fun projects!! Such lovely fun and different projects! Love those baby balls especially! Nice projects. Interesting design for the runner and such a cute ball! Oh my goodness the cockatoo pillow is amazing!!! I love it! Ooooh I am in love with that Owl pillow!!! Great finishes! Each of these is a fun finish, involving some hand work too! All lovely, but my favourites are the cushions, they look great. Love them all the baby ball is lovely and the cushions needle case cute and table runner is a good idea for using up Christmas scraps! Beuatiful finishes! The pillows are my favorite. The one with owl is super cute! cool cushions. I can see why you want to make more. I like the layout of the owl one the best, where the right hand column of stipes goes right to the top.